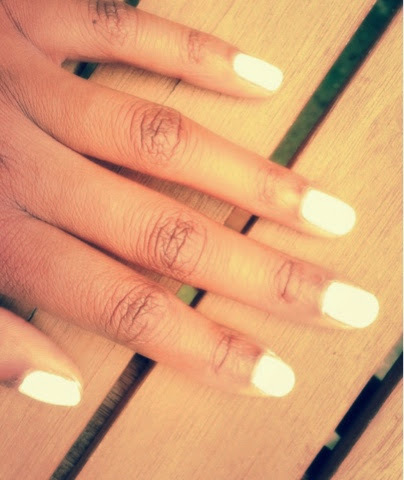 This week I am trying out the new nail trend that seems to be sweeping the globe this summer...white nail varnish. I must admit I was a little bit apprehensive during application, visions of Tippex correction paint came to mind (!). However, I stuck with it and once fully applied my nails looked fresh and summery. It took me at least 3 coats to get the coverage and finish I wanted! White nail varnish tends to go on streaky and it's not until about three coats do you get the opaqueness you're looking for. A few times as I was building up the colour, I thought to myself "I don't like this!! ", but then suddenly, it came together and the look is striking. Granted, it's not a style/trend for everybody, but I personally like it and think it gives a groomed, trės chic look. Just be aware of chips...white nails and chips (any nail varnish and chips for that matter) does not look good at all. Any imperfections with this look shows up 10 times more than other colours. 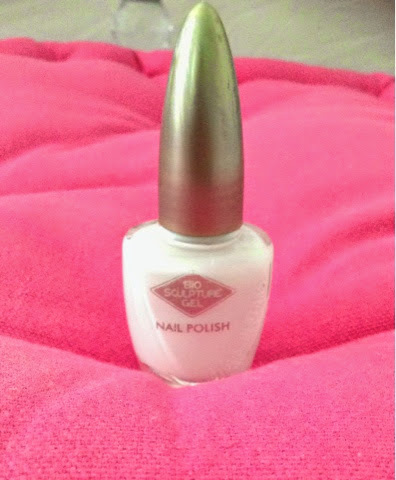 I used Bio Sculpture International Nail Varnish in No.1 for my nails (below). 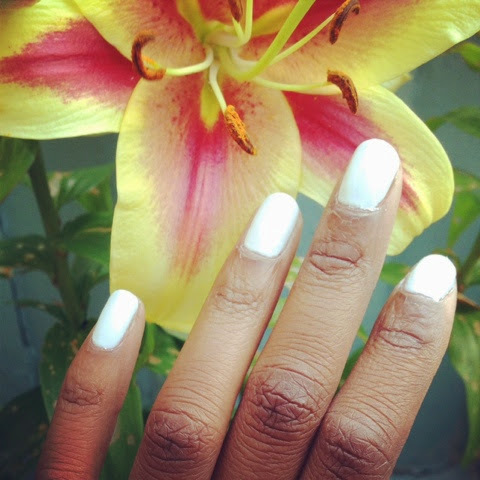 I also really like Essie in Blanc for a great snow white opaque finish.